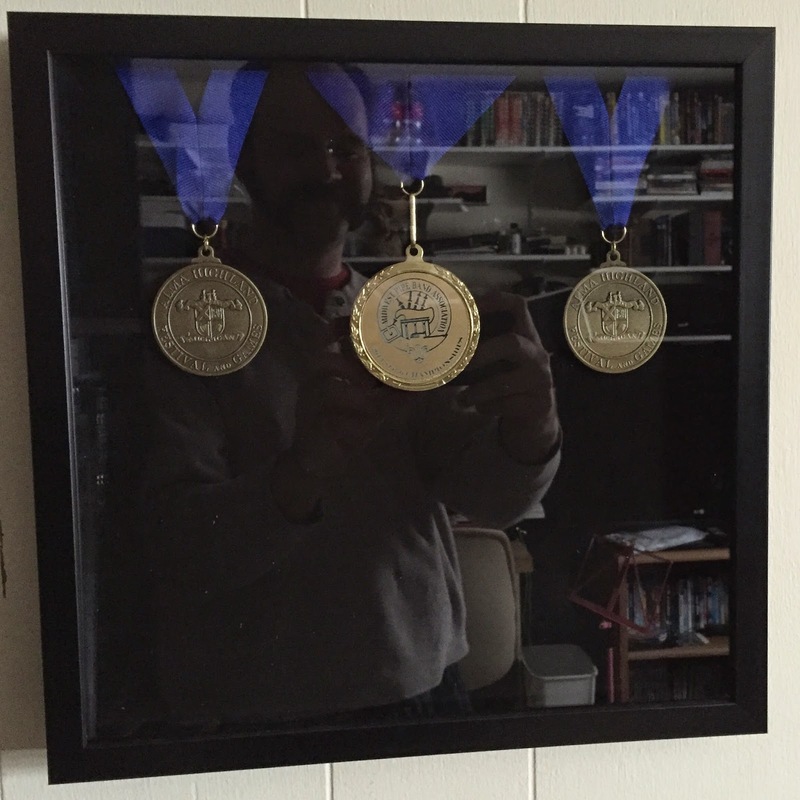 I started competing with piping and drumming in the Midwest Pipe Band Association in 2014. I have drumming mixed in there as it was a way to get into playing with the band while I was still working toward getting on the full bagpipes (you start on the practice chanter and don't move to the full pipes until you're ready and that can take many months). 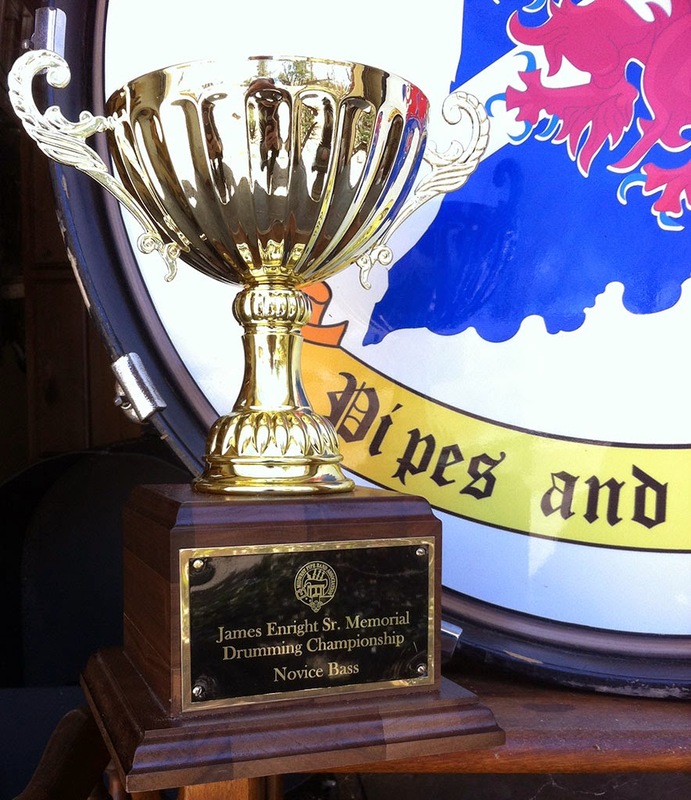 For the 2014 MWPBA season I competed on novice bass drum and practice chanter. I won first place on novice bass drum in the pre-season solo competition. I also won first place at the Alma Highland Festival on novice bass drum and practice chanter. At the end of the season I had enough points to win the MWPBA Champion Supreme trophy for novice bass drum. For 2015 I'm concentrating on the bagpipes and just qualified to play at the pre-season solo finals as a Senior Novice piper. The regional qualifier I played at was this past weekend in Lexington, KY and despite the weather it was a good weekend. I received some great feedback from the judge and played very well for my skill level. I've been taking lessons with Angus Martin here in town, he's a Grade 2 piper and a great instructor. I've been progressing with him at a very satisfactory rate and I may graduate up to Grade 4 next season. Pipes and drums has been a wonderful experience and it's something that the whole family can participate in as we grow up. Meg doesn't mind attending events chock full of lads in kilts and the boys have small practice chanters that they sometimes play with me when they are in the mood. I'm looking forward to the 2015 season and I'm already off to a good start.